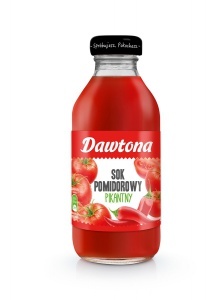 Tomato juice 100% NFC has no any add-ons, even salt! Instead is full of minerals and vitamins. 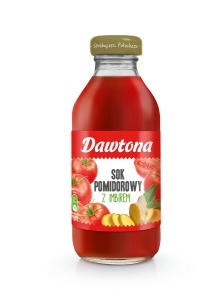 Contains a lot of potassium (which helps to keep normal blood pressure), and lycopene (which prevents cancer and civilization disease). 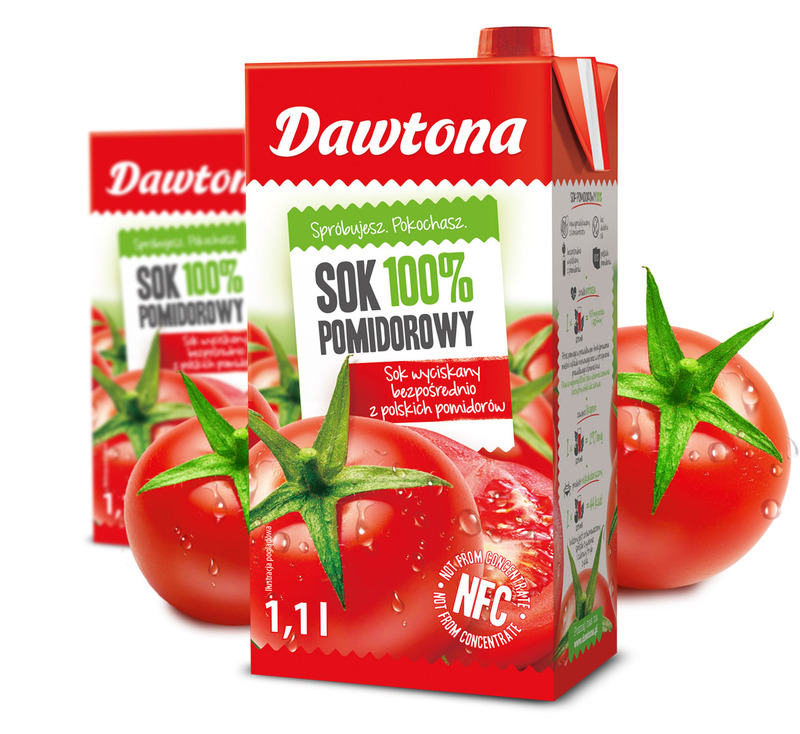 Dawtona Tomato Juice 100% NFC quenches thirst and can successfully replace every snack during the day. Drink juice to keep your health! A treat for amateurs of natural tomato flavor. This juice aids quick recovery following exercise, while having a significant impact on beauty and skin condition as well as the overall health. Nutritious, yet low-calorie - a whole 330ml bottle of Dawtona tomato juice is only 66 calories! A perfect everyday companion for physically active people. Juicy tomato flavor with a hint of chili and black pepper is our proposal for the amateurs of distinctive flavors. Drink a glass of tomato juice a day to supply the body with the adequate amount of lycopene, which reduces the risk of developing diseases. It is hard to find a quicker energy boost than a cup of vegetable juice. The combination of tomatoes, carrots and peppers provide not only delicious taste, but also the necessary portion of health and energy. Product available in 750 ml glass bottles.